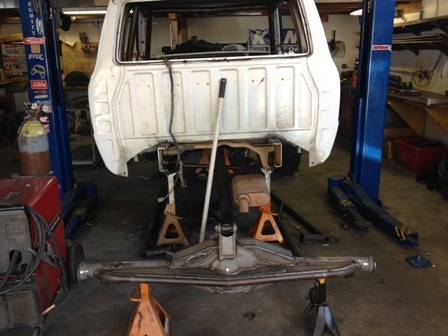 Sarah Dixon, one of Arc-Zone’s finest team members, recently traveled to Upland, CA with her boyfriend in order to put a deposit down on a hand-fabricated long travel suspension kit for his 2004 Ford Ranger. They got more than they’d bargained for when they arrived at a family-owned fabrication company that’s two brothers and a MIG welder in a small shop doing quality work. Joe Welder: How did you guys get into welding? BTF Brandon: It was a natural progression. My father, brother and I were into dirt bikes and hot rods growing up. We learned to MIG weld and built a truck for ourselves. We then started building trucks for friends, and the company grew out of that. Off-roading is a passion, so it’s great to do what we love every day. Joe Welder: What type of work do you guys do? BTF Brandon: We primarily focus on off-road suspension and some roll-cages. Joe Welder: What type of welding do you guys typically do? 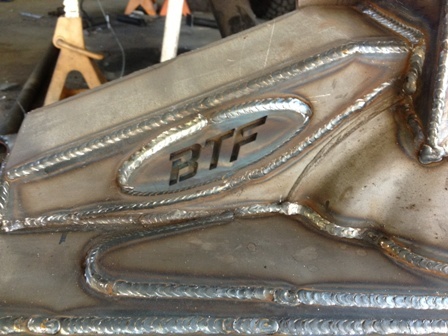 BTF Brandon: Mostly MIG, but sometimes we’ll do some TIG welding as well if the application calls for it. Joe Welder: Where would you like to see the business in the future? BTF Brandon: As of now, we want to get more involved with custom fabrication and design, hire additional fabricators and grow. Give these guys a call if you’re in Southern California and want to trick out your truck to conquer the deserts. You can check out their website to get more information. I love to see fabricators pursuing their passions and turning them into careers. That’s what I did when I started Arc-Zone.com, and I recommend it to anyone. 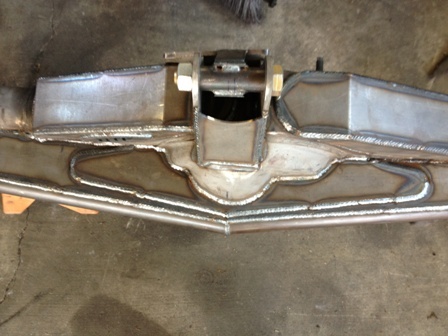 Here on the Joe Welder Blog we love to showcase fabricators and companies that are using the welding craft in interesting ways. Leave a comment below if you know of another company that you’d like to see focused here on the Joe Welder Blog. We would love to help spread the word. Until then, good welding! It’s nice to a hear a woman’s point of view of such a male dominated occupation. To see my brother weld pipe (he’s a plumber) is like watching an artist! Thanks Sarah, I love the idea of monthly interviews with local artisans. Thanks! I’m glad you enjoyed this post. And kudos to your bro! Thank you for the positive feedback @LeDawn!